ZANE Haas only bought his Westwood Way property about six months ago. And already he's been forced to claim insurance on parts of his Oakhurst home after it was smashed by strong winds and hail on Thursday. Mr Haas is one of hundreds of residents who will be keeping an eye on the weather over the next week, with more rain predicted for the Wide Bay region. His house suffered water damage due to the wind tearing off a protective guard on the window and a branch flying into the wall. "It was like a tornado blew through the place, trees were being knocked down, there was hail everywhere," Mr Haas said. "After the storm I was wandering around thinking 'What the f***.'" A nearby aviary containing several of his pet birds blew away, but Mr Haas was able to save all the animals. He now faces a lengthy clean-up and liaisons with the insurance company to recuperate the damages. Close friend Rhys Jackson gave him a helping hand through Friday to help remove some of the debris. The Bureau of Meteorology confirmed rainfall averages for October were smashed after storms rolled through the region. 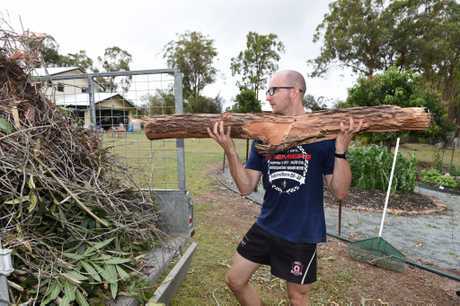 Meteorologist Nicholas Shera said Hervey Bay received 156mm, compared with an October average of 81mm, while the Heritage City received 187mm compared to the average of 72.2mm. Torbanlea and Tiaro received more than 200mm during the deluge. The storms eased up yesterday, with only 4mm sprinkling in Hervey Bay since 9am and 35mm falling in Maryborough. 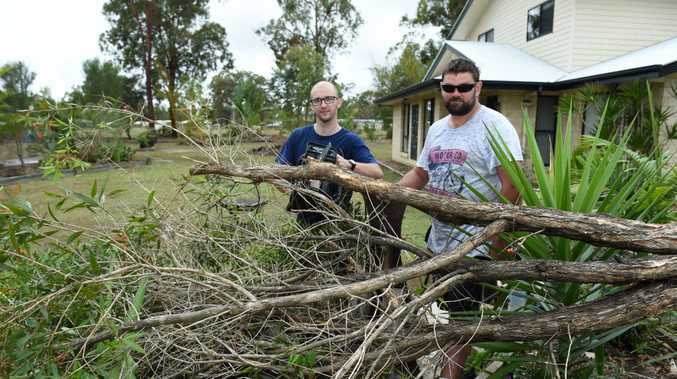 Fraser Coast residents also shared their local downpours to the Chronicle. Maryborough resident Sarah Eckert said she received about 8 inches in the Heritage City. In Walligan, Penny Marie said about 180mm fell over Saturday and Sunday. 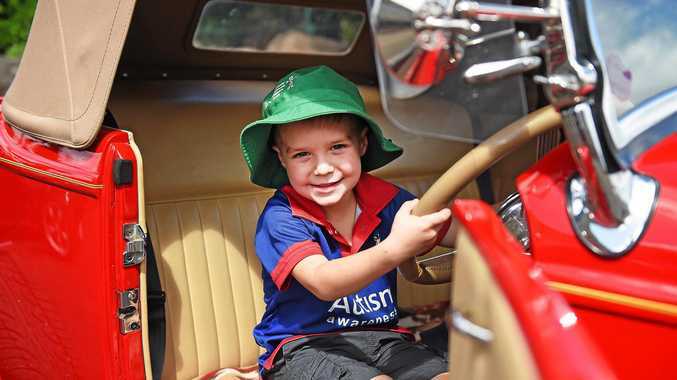 premium_icon After stormy week, what is ahead for Fraser Coast weather?